S’mores scream summer, am I right? 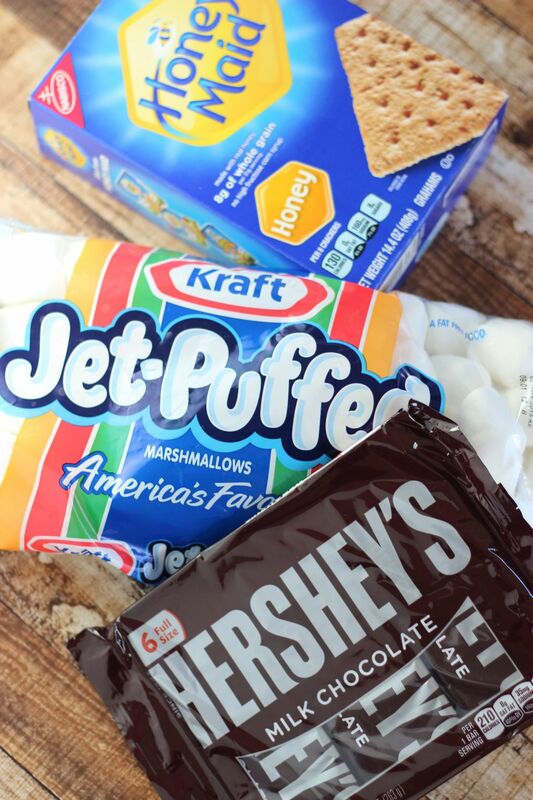 Are there any among us that didn’t grow up making s’mores around bonfires all summer long? 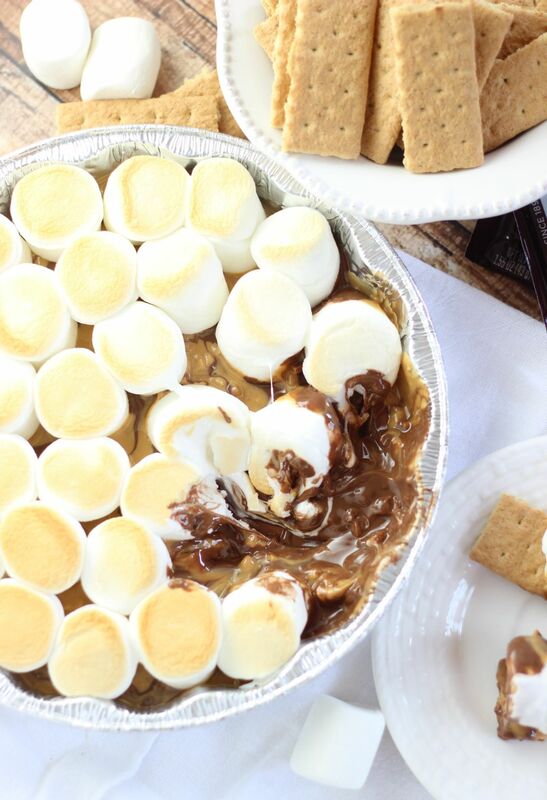 This 10-minute Peanut Butter S’mores Dip is the perfect summer dessert! It’s quick, easy, and has a super short ingredient list! This Peanut Butter S’mores Dip is ridiculously ooey and gooey, and it’s what s’mores dreams are made of, basically. I’m kinda obsessed, and I’m careful about throwing that word around. 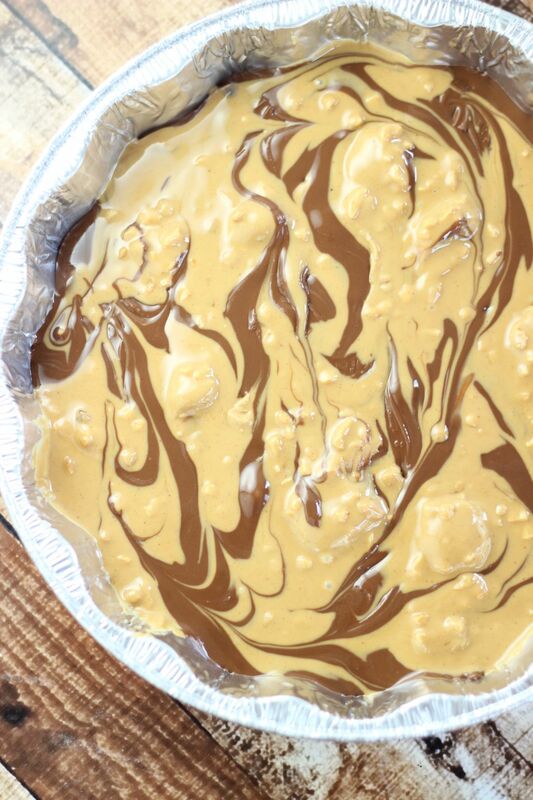 One taste of this Peanut Butter S’mores Dip, you’ll understand why. S’mores also remind me of going to camp. My family and I went to the same camp every summer of my childhood, and we spent many a night around a bonfire making s’mores. I cherish those memories! 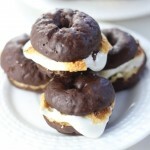 But if you’re anything like me, s’mores are not just a summer thing, and they’re not just a nostalgia thing. And you don’t even need a campfire to make them. Where there’s a will, there’s a way. It’s not that hard to find the will or the way! I like to make them year-round. I go through phases with s’mores. I will make them for dessert all the time for a few weeks. The main thing is: it doesn’t really matter what the season. 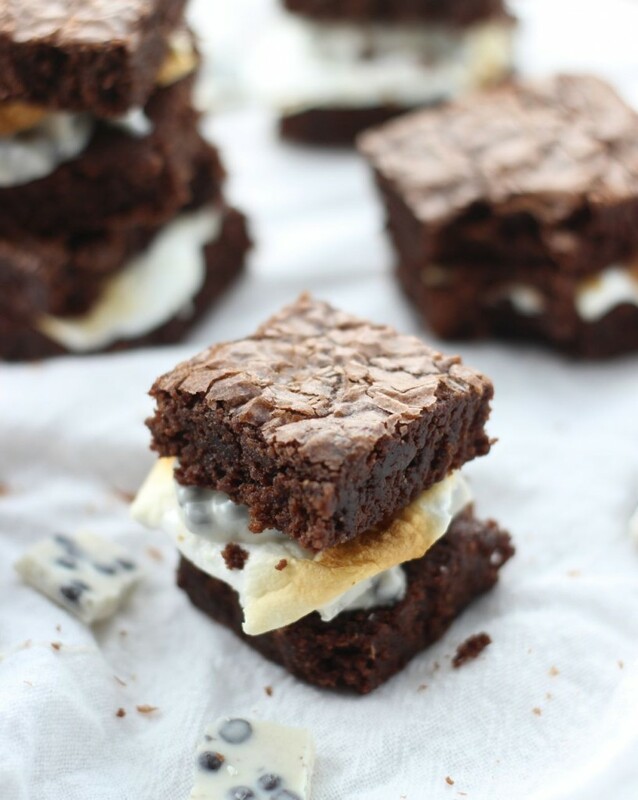 They’re simple and easy to make anytime really, and they always hit the spot. I make them in the microwave, stove top, doesn’t matter…. if it provides heat, I will use it to make a s’more. Living in Florida, I could probably just set a s’more outside for 5 minutes and find it perfectly melty. I mean, I wouldn’t do that, but I could. I also have s’mores every year on my birthday. It’s just one of those things. 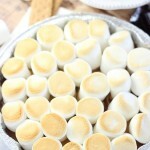 Now that we’re truly into summer though, I have a special soft spot for s’mores. Yep, I’ll make them anytime, but there is something special about summer. After S.O. 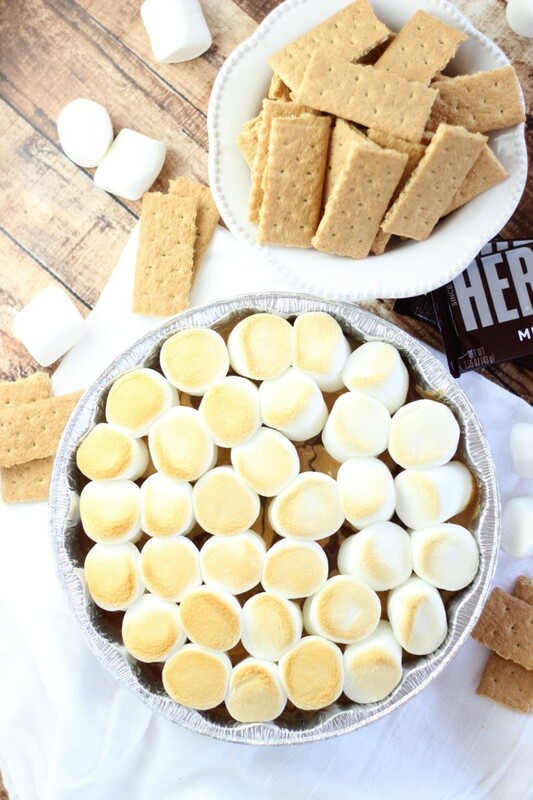 grilled out dinner last week, we used those ingredients to create this fabulous and easy 10-minute Peanut Butter S’mores Dip. 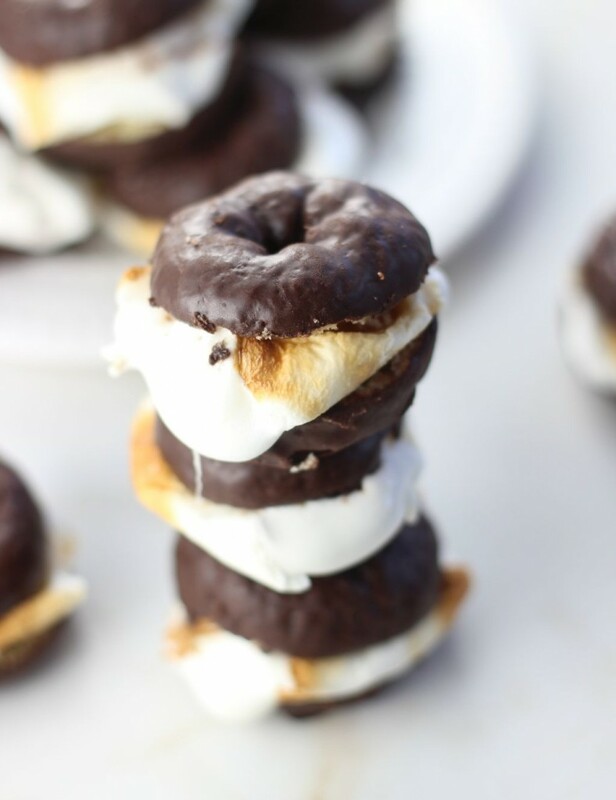 It was fun to try a different variation on a traditional s’more, but to also still keep all those favorite flavors – milk chocolate, graham crackers, and marshmallows – those are musts, of course. 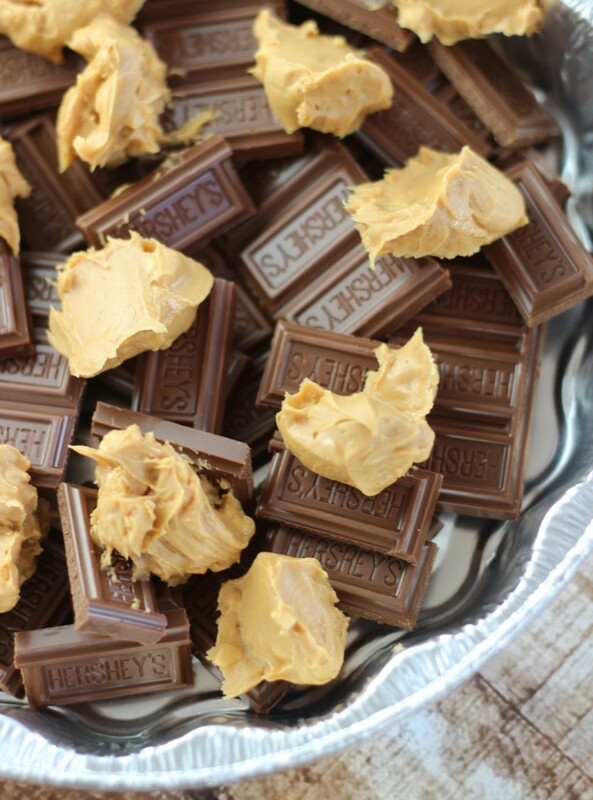 In my opinion, no dessert would be complete without the addition of peanut butter. I’m sure you saw that coming a mile away. I can’t help it. You know how I feel about it, so… movin’ on. 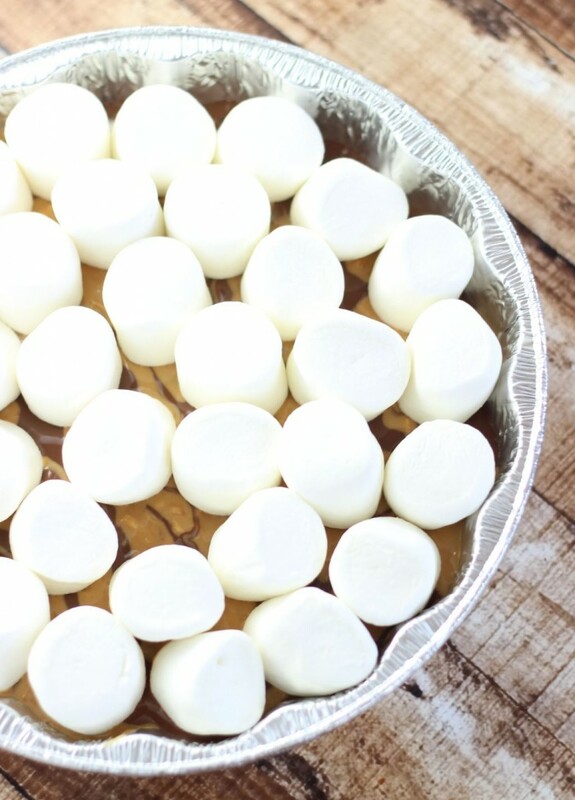 You can make this Peanut Butter S’mores Dip in under 10 minutes, it feeds a good crowd, and it’s super easy clean-up too! It’s a great dessert idea for an outdoor summer get-together with friends and family! 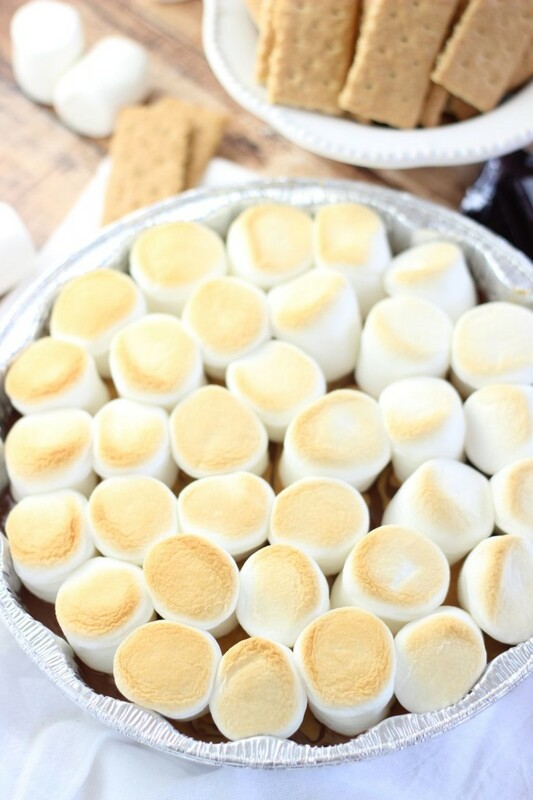 Ooey, gooey s'mores dip with peanut butter, made on the grill in under 10 minutes! Turn on the gas grill to low heat with very little visible flame. 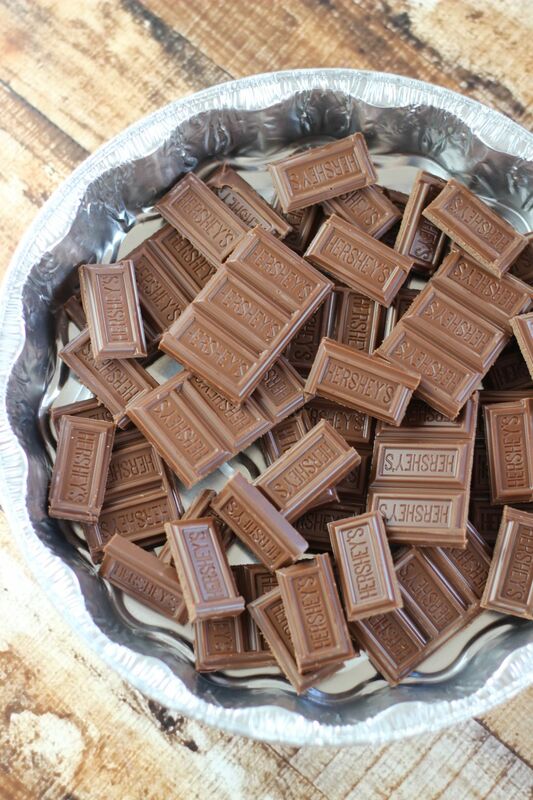 In a cake pan or disposable aluminum cake tin (recommended for easy clean-up), evenly distribute the milk chocolate bar pieces. Dollop the peanut butter on top of the chocolate, about a tablespoon at a time. Place directly on the grill over indirect heat and flames. Set timer for exactly 1 minute - this will not take long - then remove from heat. 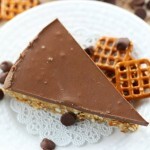 The chocolate and peanut butter should be melted, and you can swirl them a bit with grill tongs, if desired. 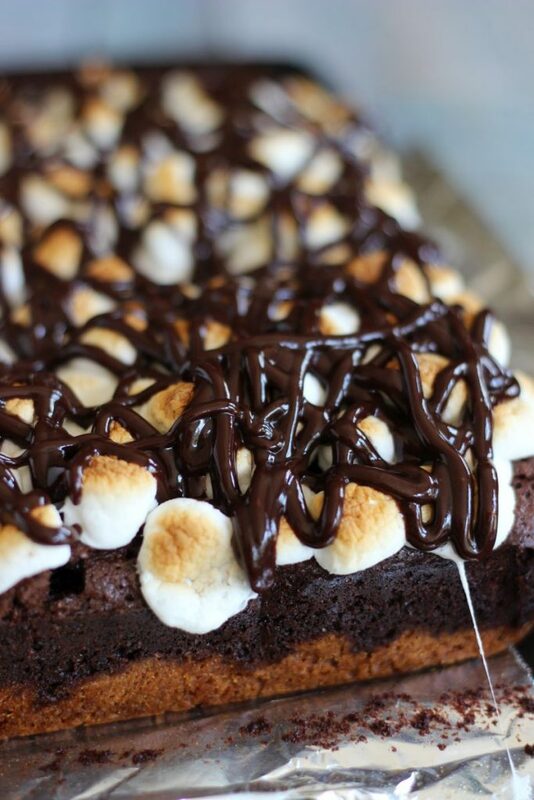 Top with marshmallows, and return to the grill over indirect heat and flames for 1-2 minutes, or until marshmallows are golden brown and melted. Serve with graham crackers for dipping. Enjoy! 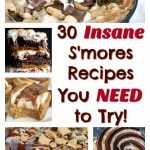 You may also like these s’mores recipes! 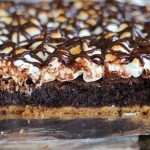 30 Insanely Decadent S’mores Desserts You Need To Try This Summer! I don’t think I’ve ever put peanut butter in a s’more before but that definitely needs to change! This dip looks fantastic Sarah! Omg, it’s so amazing! 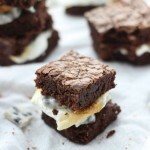 Definitely try the PB in s’mores! I don’t think I’d ever get past the step where you blend the chocolate chips and peanut butter. I’d just sit there and “sample” it with a spoon until it was gone. That happened to us too. Dave doesn’t like marshmallows so he did a lot of sampling before the marshmallows made it on top! Lol.